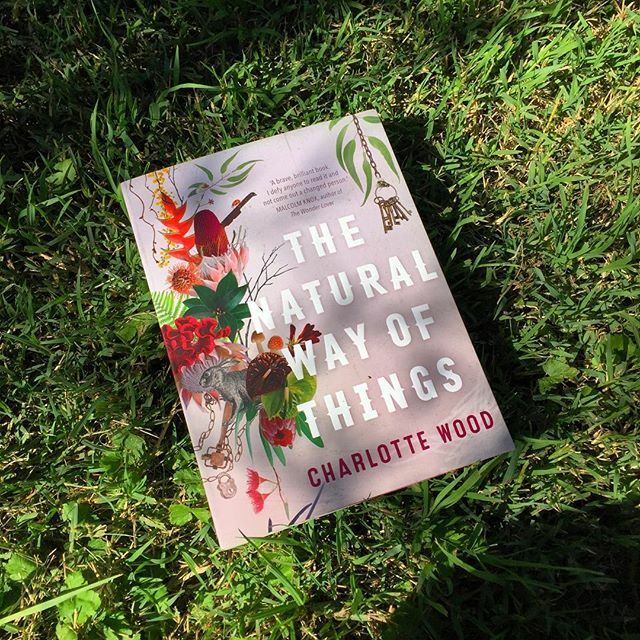 Charlotte Wood’s The Natural Way of Things has lived in my tbr pile for many months now, its beautifully drawn cover pretending at the story inside. I was warned that this beauty belied a truth within its pages, a story that was difficult and rough. I was warned that these words simmered, that they pushed back against a world that too often mistakes ‘woman’ for ‘empty space’. You’ll need comforts a friend said, you’ll need chocolate and tea and hugs. I felt some trepidation. What story had ever come with such warning? And yet, as if fate had placed a warm hand on my back, gently pushing me towards this book, The Natural Way of Things was exactly the story I needed; its words acting as a salve for my burnt skin. Described as a dystopian tale, The Natural Way of Things is a story of so-called sullied women, shipped off, collected together in a brutal landscape somewhere in the Australian bush. It is a story of their shrinking, of their lives stolen from them. And yet, it felt like a 300-page metaphor for the life of women who are treated so horribly by the men who view them as less then, as disposable; and the society that expends immeasurable amounts of energy explaining to them, talking over them, judging them. Dystopian? Perhaps not. The traumas of these women, the pieces of their worlds that are carefully sketched out for us, are so familiar. These are stories we know, stories we’ve heard and read and felt. That knowledge sits uncomfortably at the base of my spine as I read, as these careful sketches are made, each scene appears before me and I can fill in the details because I know them. That is a heavy load to bear, that knowledge. I know these women and their stories and it breaks my heart. ‘Verla looks around the table then. Despite the shaven skulls, one by one the girls’ faces clarify for an instant - and then merge, and Verla knows that she and they are in some dreadful way connected. But there is more than anger here, more than a sharp commentary on the none too subtle lines of gender based power that define our society, more than the flippancy with which women’s bodies are used and discarded, there is something else here that I latched onto strongly. A constant through my life has been the women in it that support and encourage, women who cheer for you, who so desperately want happiness and success and life for you. I have been blessed to have some of these women in my life, to have them now. And as I read this story, as I sunk within its pages and entwined myself with its words it was friendship, it was Yolanda and Verla, that sustained me. It was the moments their hands found each other, the moments their eyes locked, the moments they existed together, that allowed me to push aside the grime, if even just for a little while. Charlotte Wood writes this story, writes these women, with something that feels like empathy smashed onto the page with lashings of despair and frustration swirled through. Her language is raw, without pretence. She makes no attempt to smooth the edges. And it is this that makes it rough reading, that makes it feel so visceral, that makes tears pool in the corners of my eyes and forces me to sit upright, a tension wrapped around my body. What will happen to these women? Women who have been discarded in the most literal way, dumped in a harsh and cruel environment, stripped of their clothes, their hair, their personhood. Women who have been removed, pushed behind a closed door where their existence can no longer embarrass or confuse or insult the men whose very actions created them. Where will they go? Who will they be? I won’t pretend that this story didn’t affect me, that these women didn’t linger in my mind long after I’d finished reading, that they are not still there. I said earlier that The Natural Way of Things was like a salve for my burnt skin, I don’t mean to suggest that I was soothed by this book, more that the words on its pages emboldened me. That they recognised me, they fortified me. 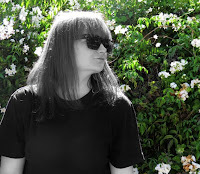 To live as a woman is to exist with a constant simmering resentment bubbling under your skin; to see yourself reduced, to hear yourself remarked upon, to feel yourself assessed by a gaze you never invited; to pull yourself inwards, shrinking your body and your voice as a defence mechanism against a world that is sometimes too obvious in its disdain. But it is also to survive, to resist, to refuse. This is what I hope will stay with me, this is what I hope I will carry from The Natural Way of Things: that survival, that resistance, that refusal.